Ruthiebear (Titusville, NJ, United States) on 25 October 2014 in Lifestyle & Culture. I will be away through MOnday. Not sure I will have internet while away. Will catch up soon. Encore une très intéressante vue de ta série. Belle prise encore ! bon week end Ruthie ! Great framing and colors ! 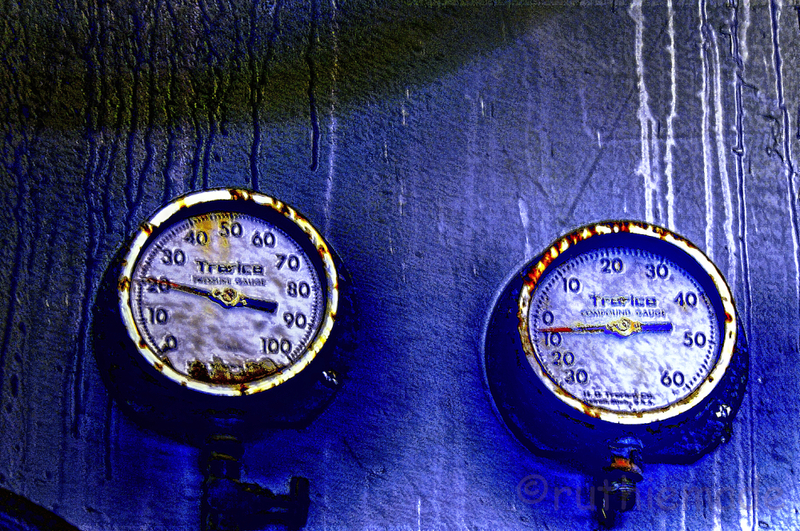 These gauges go well with the theme of this place. A fine shot. Very interesting colours. It would be nice if it was a little sharper. I don't know what they are measuring, but they seem to belong to a mad scientist. The runny and grainy view reinforce this. That is the perfect place for Halloween photos. Wow! This is really interesting. A wonderful image. I can only imagine what some of these poor children must have been subjected to in this place. Excellent blue color, nice textures. great composition. Excellent and plenty scary for this October !! Excellent composition and beautiful colors, the treatment is magnificent. I like a lot this series, it's sublime. Nooo - such a horrible thing to happen.